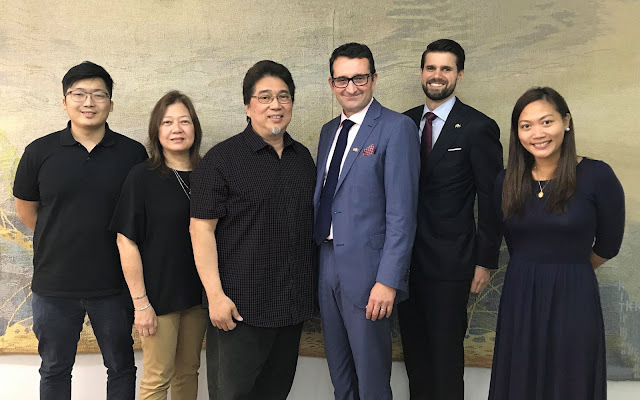 The Norwegian Ambassador to the Philippines recently met with Ovation Productions President and CEO Renen de Guia, to announce a partnership for the upcoming concert with Kygo (Kids in Love tour) in Manila on October 25. In Photo: (from L to R): Ovation Productions Production Manager Bogie de Guia, Vice President Celinda de Guia, President and CEO Renen de Guia, Norwegian Embassy Ambassador Bjørn Jahnsen, Second Secretary Stian Hegland, Business and Trade Adviser Ana-Maria Francesca Florentino. “I look forward to collaboration with one of the leading concert organizers in the Philippines. Working together on the Kygo concert, we will showcase the modern music scene in Norway”, Ambassador Jahnsen said. Kygo is a world-renowned Norwegian producer, songwriter and DJ. He holds the record in reaching 1 billion streams on Spotify. Spotify awarded him as “Breakout Artist” of 2015 for his hits including “Firestone” (with Conrad Sewell); “Stole the Show” (with Parson James); “It Ain’t Me” with (Selena Gomez); and “Born to be Yours” with (Imagine Dragons). “We are very happy and excited to have Kygo performing live in front of thousands of Filipino fans,” the Ambassador said. The Norwegian Embassy in Manila will give away 30 VIP-tickets to Kygo: Kids in Love tour in Manila. For more information, follow the Norwegian Embassy in Manila official Facebook page: Facebook.com/NorwegianEmbassyManila. #KYGOManila is presented by Smart, in cooperation with San Mig Light.